John D. Newkirk, Ph.D., MD is a member of several professional societies and is certified by the American Board of Plastic Surgery, Inc. Society memberships include the American College of Surgeons, the American Society of Plastic Surgeons (ASPS), and the American Society for Aesthetic Plastic Surgery, Inc. (ASAPS), which is the premier society for plastic surgeons, whose practice emphasis is cosmetic or aesthetic surgery. 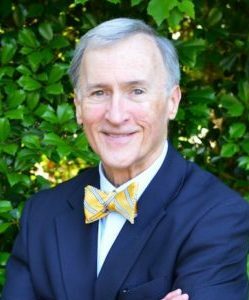 After obtaining the degrees of Master of Science and Doctor of Philosophy from the Department of Biochemistry of Bowman Gray School of Medicine of Wake Forest University, he received his MD degree from Northwestern University School of Medicine. Dr. Newkirk trained in general surgery at the University of Oregon Health Sciences Center and Loyola University of Chicago. He completed training in plastic surgery at Foothills Hospital, the University of Calgary, Calgary, Alberta, Canada. After 15 years of private practice in Central Pennsylvania, he returned to the Carolinas. At the same time, Dr. Newkirk has also been actively involved in developing policies to make surgery in an office setting safe, as he has been a facility examiner for the American Association for Accreditation of Ambulatory Surgical Facilities, Inc. for several years, and presently serves on two AAAASF committees. Dr. Newkirks dedicated staff are ready to discuss your concerns regarding stress incontinence, dyspareunia, laxity and have the latest technology to address your symptoms. Better and more advanced then ThermiVa or other devices, the single treatment Viveve Genveve device is now offered at Columbia Plastic Surgery.